Being a blogger & general foodie, I’m constantly on the lookout for new restaurants. Some time ago I read about and quickly informed Mr R about the fact that my favourite Spanish Restaurant El Pirata has opened a sister restaurant on Westbourne Grove. Whilst I do this quite often (mention new restaurants), Mr R doesn’t always take the hint. This time he did. 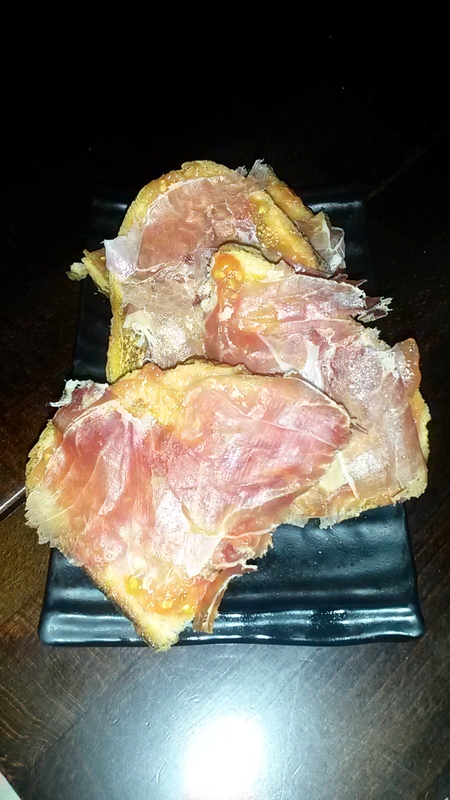 We rocked up at El Pirata de Tapas on Saturday, albeit 25 minutes late after spending 20 minutes looking for 15 Westbourne Grove when the restaurant was actually 115. After making the designated driver perform a slightly dodgy three point turn, we parked up and walked down. 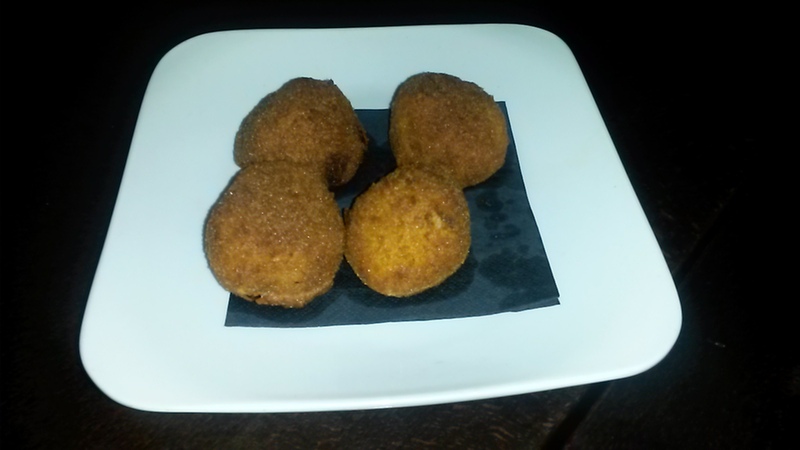 Having visited the Canary Islands a number of times whilst my sister lived there, I am a big fan of Canarian style tapas – something that El Pirata is excellent at. I’d read up on the restaurant a while ago and appreciated that El Pirata de Tapas is a more “modern” take on Spanish cuisine – usually this simply means smaller portions and higher prices. We were seated at our table towards the back of the restaurant and despite having called ahead to see if we could increase our table of 2 to 5 only to be told they were fully booked, we were surprised to find that 10 minutes into our sitting, a table was added to the end of ours. This would have been fine if the lights were slightly brighter so that the waiters didn’t keep banging into it. I digress. Sat at the back of the restaurant, we started by selecting our drinks, Mr R went for a traditional Sangria & the fact that I didn’t even try it obviously means that it was a good one. I went for the Rasberry Bubble – raspberry, chambord, vodka, lime & topped with cava. To be fair, the drink was far too strong. Once the ice melted a little it tasted a bit better, but it was far too alcoholic to enjoy. We went on to order our mains. 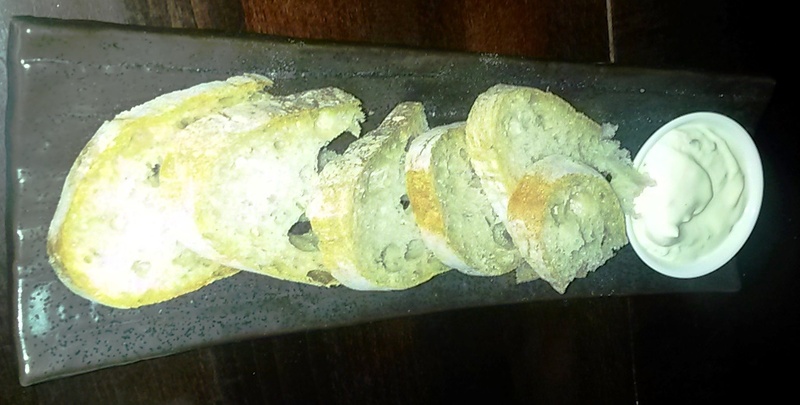 The Bread was slightly dry but the alioli was delicious with just the right amount of garlic so we pretty much demolished it. I however have no doubt that I could have demolished it alone! The tomato on the bread will obviously have the effect of making it slighty soggy. The first slice I ate however was perfectly crisp, the tomato was perfectly seasoned and the serrono was delicious. By the time I got to the next slight it was slighty soggy, but yet the tomato and serrano were delicious. Both myself and Mr R were blown away by the size of this dish, the fact that it looks so tiny in the picture is not down to my camera being useless, it is in fact a tiny dish. 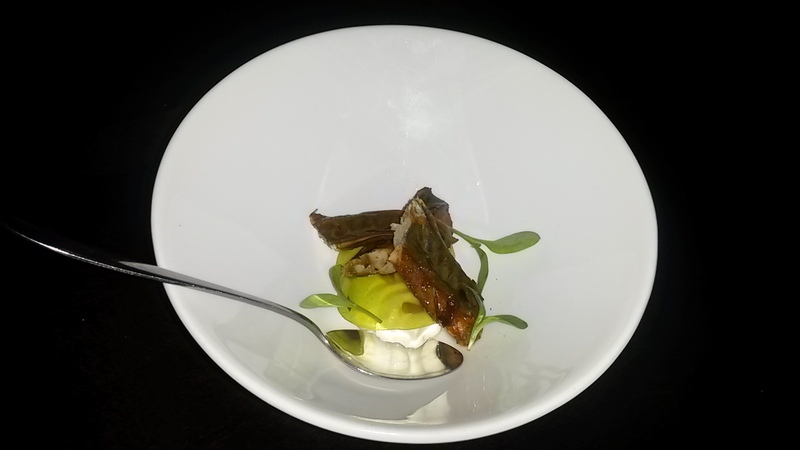 The mackeral was perfectly cooked, the all but 3 pieces were placed on a jelly circle (I wasn’t too sure what this was at the time but no know it was a “veil of basil gelatin”) with a cheesey mousse underneath. The flavours worked well together & the makeral wasn’t too fishy so I couldn’t really complain. I just wish I knew what the green jelly was (if had been yellow I would have been convinced it was from the inside of a jaffa cake). 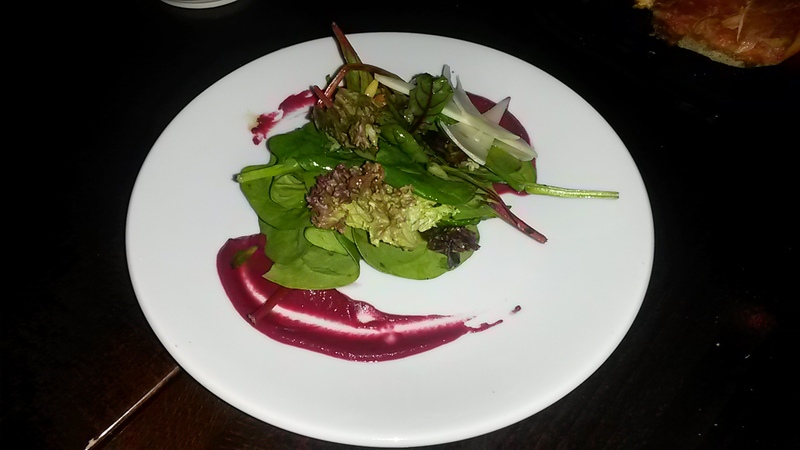 This was essentially a mixed leaf salad with thinly sliced monchengo cheese and a beetroot paste. Again whilst not the largest of portions, the leafs were well seasoned, the beetroot paste was a good accomplement. I was overall quite satisfied by the dish. These are always good. 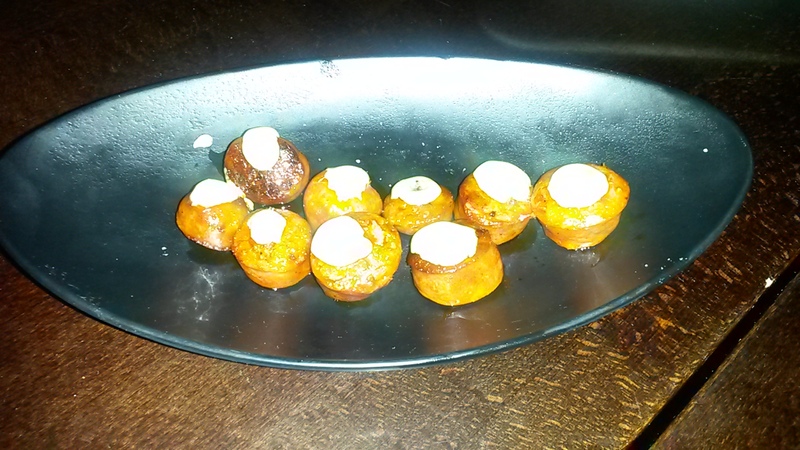 The potato and jamon mix was silky smooth and seasoned just right. Croquettas always remind me of my childhood but these were so much better given that the outside was so crunchy whilst the inside was smooth as a baby’s bottom (not in the literal sense). I am a real fan of Chorizo, more so since I discovered a chicken and Chorizo soup. This was essentially chorizo pieces topped with a dollap of alioli. Whilst it is pretty simplistic as an idea, the flavours meshed well together. The sausage was thickly cut which meant it held the flavour of the alioli that much better. Overall a good dish. I tried three times to get a picture of these, but I’m guessing the excess oil from the triple cooking meant my flash kept distorting the image. Sad times. To be fair these weren’t great, the potato’s were far too crispy so they didn’t go soggy when the sauce was added..sad times. Again for some reason I completely failed to take a picture of what was actually a fairly yummy desert. It was in no way a normal Crema Catalana, so I’m slightly mad at myself for not taking a picture to show you. The desert consisted of two elements, one being the a crème brulee and the other being a bit of a layered banana custard. Slightly sweet but the fact that you got two for the price of one – I can’t complain. On the whole, whilst the food was good, I still prefer the traditional element of the original El Pirata so may not come back too soon!